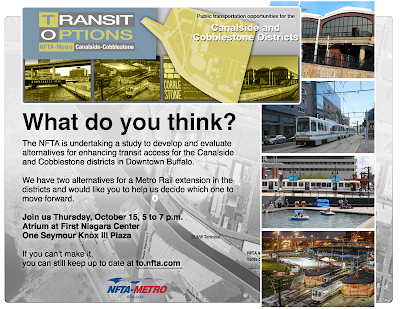 NFTA is also conducting a study to develop and evaluate alternatives for enhancing transit access in the Canalside and Cobblestone districts in Downtown Buffalo and the reuse of the DL&W as a Metro rail Station. 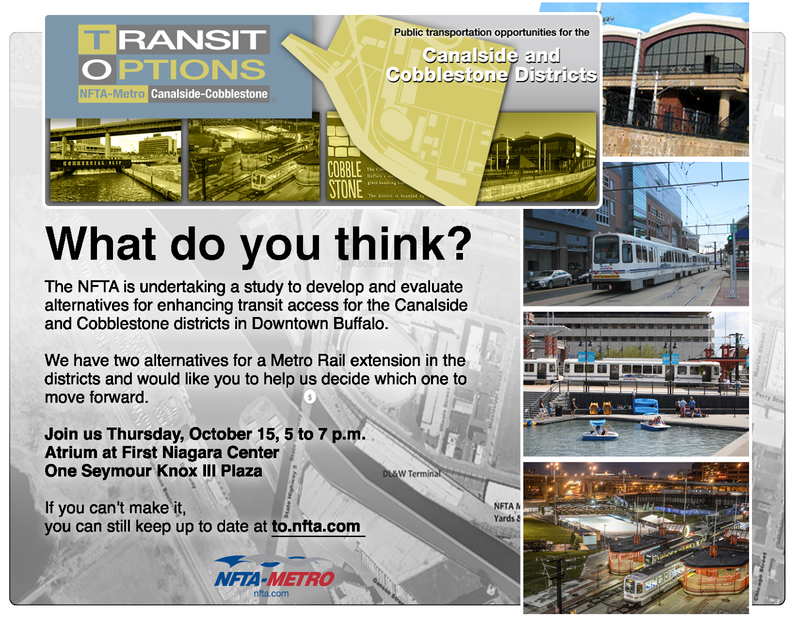 Join us on October 15, 5 to 7 p.m. to learn more about the study and to provide your input on which alternative should move forward. Channel 2 ran a story on the study. And so did Buffalo Rising. 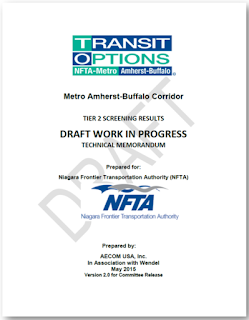 Warning: This Post Contains Technical Documents! The Buffalo News ran an article about the project in today's edition. to everyone who stopped by our table today at the Downtown Farmers Market! Thank you for your interest and your many great questions and comments. We've added an FAQ tab. This is our attempt to answer all the questions we've gotten so far. Let us know if you still have more.